DeeperBlue.com was able to reconnect with the Honduran Tourism Institute's Yovany Fiallos to see what's new and exciting. 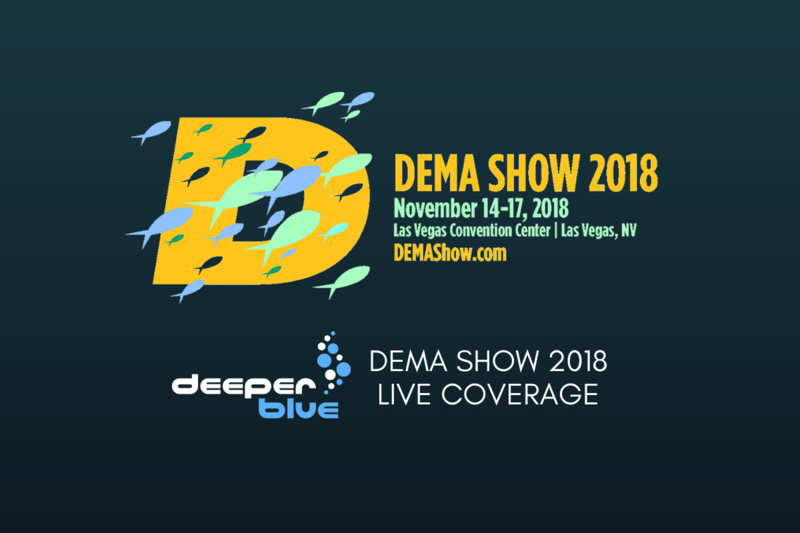 There is a product DeeperBlue.com found at this year's DEMA Show that can help keep your beverages from crashing around like a loose cannon on deck. DeeperBlue.com got a chance at DEMA Show to chat with Innovative Scuba Concepts' Jenni Fultz, who along with her husband Charles developed the Tovatec, a first-of-its-kind, integrated dive light and underwater camera. The Women Divers Hall of Fame continues to promote, connect, and recognize women in diving. Ocean Metaphor: Unexpected Life Lessons from the Sea encourages readers to reflect on the humanity of the ocean. Sea of Change creates positive change for the ocean by raising awareness, and funding and initiating conservation efforts. Membership definitely has its privileges with Girls That Scuba. The DeeperBlue.com team was honored to get time with Christopher Chin, executive director of the Center for Oceanic Awareness, Research and Conservation at this year's DEMA Show. Paralenz has improved upon what was already a near perfect product, by increasing it's depth rating to 250m, adding titanium components to avoid rust and offering a user friendly maintenance kit. A crowdfunding campaign is underway for a new underwater iPhone case called the Divevolk. If you're in the market for a new, compact macro wet lens, you may want to check out Fantasea's newest offering, unveiled this week at DEMA Show. Canadian national Erik Brown was one of the many cave divers involved in the successful rescue of the 12 Thai boys and their coach who were trapped 4km (2.5 miles) inside a cave in Thailand earlier this year.